The research on early learning is clear: All Delawareans reap short- and long-term benefits when our youngest citizens receive a high-quality early education. Early childhood development is economic development. Children who participate in an early childhood education program are more likely to graduate from high school, attend college or job training, and have higher earnings. 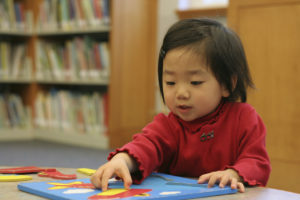 In addition to supporting the Vision Coalition, which recommends greater investment in early learners, Rodel also worked with public, private, and civic leaders to generate additional state investments and create a winning  Race to the Top – Early Learning Challenge application, which infused the system with $49 million. We supported the creation of the  Office of Early Learning, which leads the state’s early childhood efforts, and we continue to support the creation of kindergarten readiness teams; promote the state’s kindergarten readiness survey; as well as endorse the STARS quality improvement rating system  so parents can make informed decisions about placing their children into early childhood centers. Early Childhood Education Policy Brief (2015): This brief gives an introduction to early childhood education and an overview of the Delaware and national landscape. Additional Detail on Early Childhood Education (2015): Data and information about early childhood education in Delaware and nationally. Delaware Public Education at a Glance: The research and data include information on early learning. Check out the Rodel blog for more information! Great Starts Delaware (2016): The website for the Delaware’s Office of Early Learning. Race to the Top Early Learning Challenge 2014 Annual Performance Report: Delaware (2015):A summary of the state’s accomplishments, lessons learned, challenges, and strategies stemming from the Early Learning Challenge grant.